Feminist justice ethics is a feminist view on morality which seeks to engage with, and ultimately transform, traditional universal approaches to ethics. Like most types of feminist ethics, feminist justice ethics looks at how gender is left out of mainstream ethical considerations. Mainstream ethics are argued to be male-oriented. However, feminist justice ethics does differ considerably from other feminist ethics. 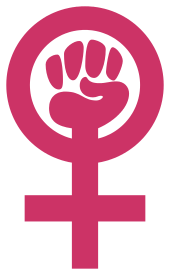 A universal set of ethics is a significant part of feminist justice ethics. Feminist justice ethics is clear in dividing "thick" morality from “thin” morality. Other ethical approaches that define themselves by differentiating groups from one another through culture or other phenomena are regarded as "thick" accounts of morality. Feminist justice ethics claims that "thick" accounts of morality, as opposed to "thin" accounts of morality, are intrinsically prone to eroding valid feminist critique. Control over one’s material and political environment – ability to participate in political choices, ability to hold property, to work on equal terms with others. Feminist ethics of care disagrees with feminist justice ethics on some issues. Feminist ethics of care critiques feminist justice ethics with the claim that by lumping women into universal categories of being, the emphasis on distinct virtues that may be held primarily by women is lost. This loss of emphasis leads back to the masculine norms that feminist ethics are attempting to critique. Feminist postmodern ethics may cite a number of factors. One source of concern would be the universality that is presented by many feminist justice ethicists. Feminist postmodern ethics is heavily reliant on deconstructing society and critiquing objectivity. Another point of concern regarding Nussbaum's argument in particular is that feminist justice ethics may ignore women who do not belong to Western cultures. By assuming ethics from a Western point of view, other views on ethics may be lost or seen as inferior. 1 2 Hutchings, Kimberley. "Ethics." In Gender Matters in Global Politics, edited by Laura J Shepherd, 68. New York: Routledge, 2010. 1 2 3 4 Hutchings, Kimberley. "Ethics." In Gender Matters in Global Politics, edited by Laura J Shepherd, 69. New York: Routledge, 2010. ↑ Robinson, Fiona (2011). "Stop Talking and Listen: Discourse Ethics and Feminist Care Ethics in International Political Theory". Millennium - Journal of International Studies. 39 (3): 847. doi:10.1177/0305829811401176. ↑ Hutchings, Kimberley. "Ethics." In Gender Matters in Global Politics, edited by Laura J Shepherd, 67. New York: Routledge, 2010. 1 2 Strong, Kelly C. (1996). "A Postmodern Feminist Perspective on Organizations in the Natural Environment: Rethinking Ecological Awareness". Business & Society. 35 (1): 65. doi:10.1177/000765039603500105. ↑ Strong, Kelly C. (1996). "A Postmodern Feminist Perspective on Organizations in the Natural Environment: Rethinking Ecological Awareness". Business & Society. 35 (1): 65–66. doi:10.1177/000765039603500105. ↑ Bloodworth, Andrew (2006). "Nussbaum's 'Capabilities Approach'". Nursing Philosophy. 7 (1): 59. doi:10.1111/j.1466-769x.2006.00240.x. ↑ Hutchings, Kimberley. "Ethics." In Gender Matters in Global Politics, edited by Laura J Shepherd, 69-70. New York: Routledge, 2010.